I though I read that somewhere?Are we trying to mimic another city perhaps?Starting to see some similar things. The headline:Outdoor Ice Rink Coming Downtown This Winter | New RaleighIt’ll be like our own little Rockefeller Center. You should get out more. The rink in City Plaza has been open for just over a month. 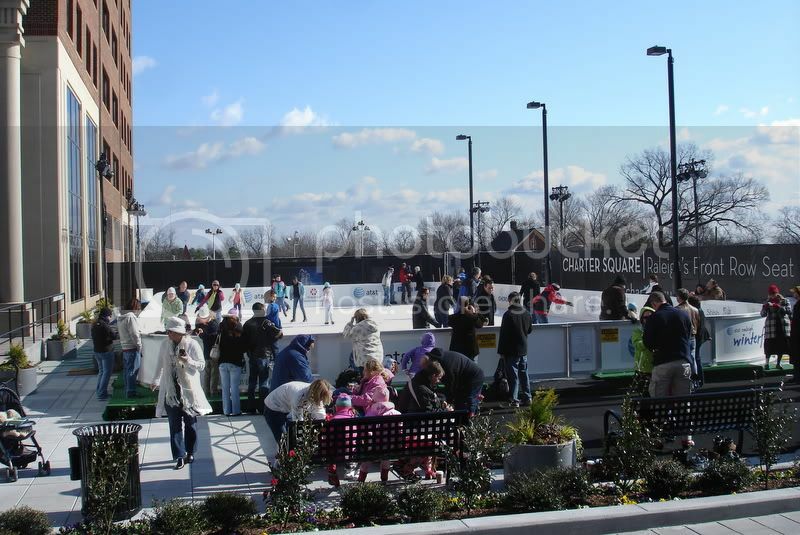 Outdoor Ice Skating in Raleigh? Yup, it has been open since early December (December 4th I think) and will be open through January 31st. It is located in the new City Plaza area. I spent some time down there before Christmas and it seemed to be drawing good size crowds (especially at night). I don't think this is an attempt to mimic another city. Just a good idea in general. It certainly seems to be a success. Last edited by North_Raleigh_Guy; 01-10-2010 at 09:46 AM..
Skated it on new years...pretty neat. Not huge, and could use some smoothing, but Im no ice skating expert and had a great time. Saw something on TV the other day saying it was doing so well that they extended the time it will be open, I think another week (Feb 7th).